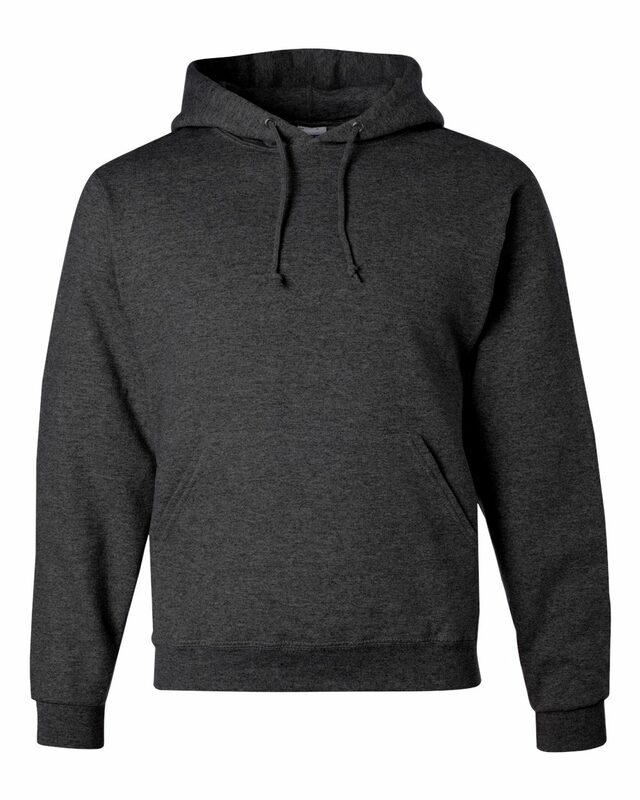 A top choice for schools, camps and casual business attire, you’ll stay warm and cozy in this 50/50 Cotton/Polyester pullover custom hoodie with front muff pocket and 2-ply hood. The Jerzees NuBlend unisex pullover is luxuriously soft, it’s no wonder it’s our most popular custom hoodie! This cotton/poly blend hooded sweatshirt is pill-resistant and has minimal shrinkage when washed, ensuring you get the same great fit each time you wear it. The front muff pocket and 2-ply hood with matching tipped and knotted draw cord make this sweatshirt the ultimate choice for comfort. This custom hoodie is a popular choice for schools, teams and businesses for every-day custom apparel with added comfort and durability. Plus, high-density stitching gives this custom sweatshirt a smooth printing canvas, ensuring your design is crisp and clear.